Who says mincemeat is only for December holidays? 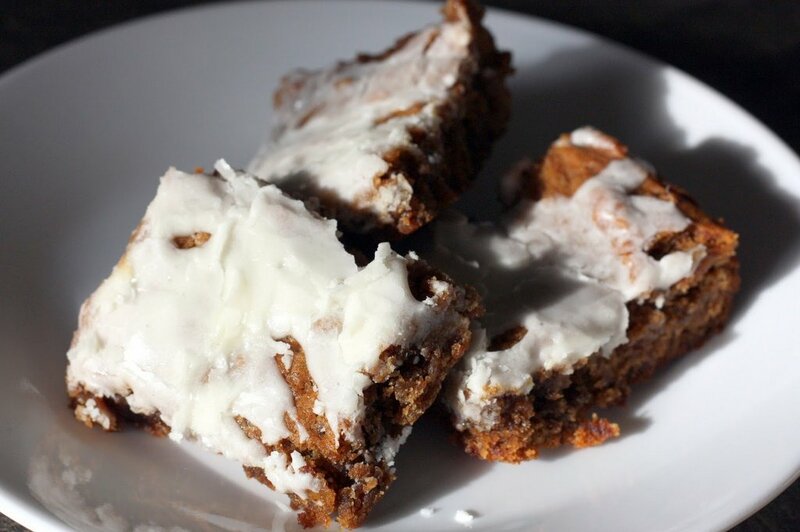 Mincemeat bars a family favorite. In truth, I think they are generally an acquired taste. The flavors are just a bit different from other bar cookies. I love them cold, preferably after they’ve sat for about five minutes after being in the freezer. The flavors are intensified with the cold. So I chose the song “Someday You’ll Be Sorry” performed by Louis Armstrong to go with mincemeat bars. 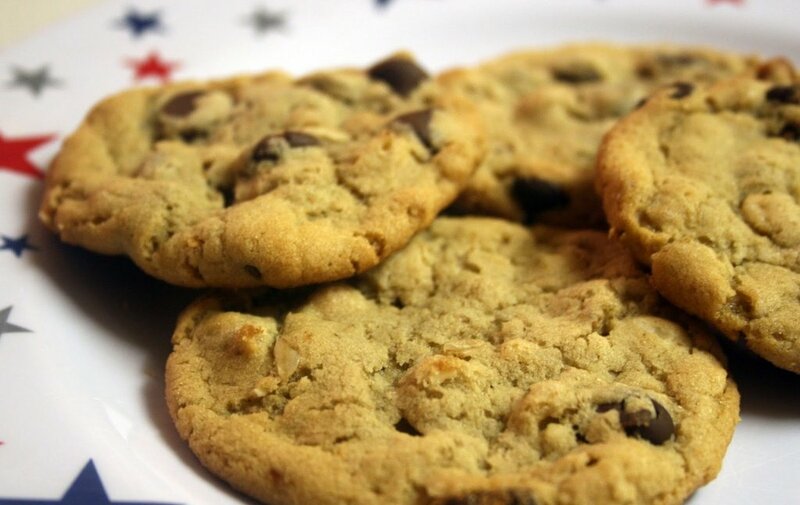 Because really, you’ll be sorry that you didn’t try these unique cookies! In large mixing bowl stir together flour, oatmeal, brown sugar, cinnamon and baking soda. Press butter into ingredients with your fingers until crumbly. Set aside 2½ cups of oatmeal crumble mixture. Press remaining oat mixture into an ungreased 13” X 9” baking pan. In a medium bowl, put prepared mincemeat, spices, orange zest, orange juice concentrate, and vanilla. Stir to combine. Scoop dollops on the hot baked crust then connect the dollops to spread the mincemeat to the edges of the pan. Sprinkle the reserved 4 cups oatmeal crumble mixture over the mincemeat. 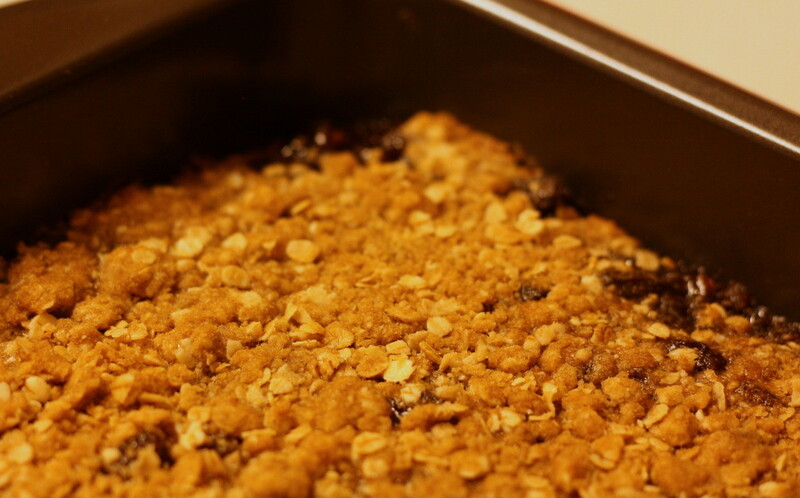 With the back of a spoon, gently spread and pat oatmeal mixture into the mincemeat. Bake for 25 minutes or until top is golden.